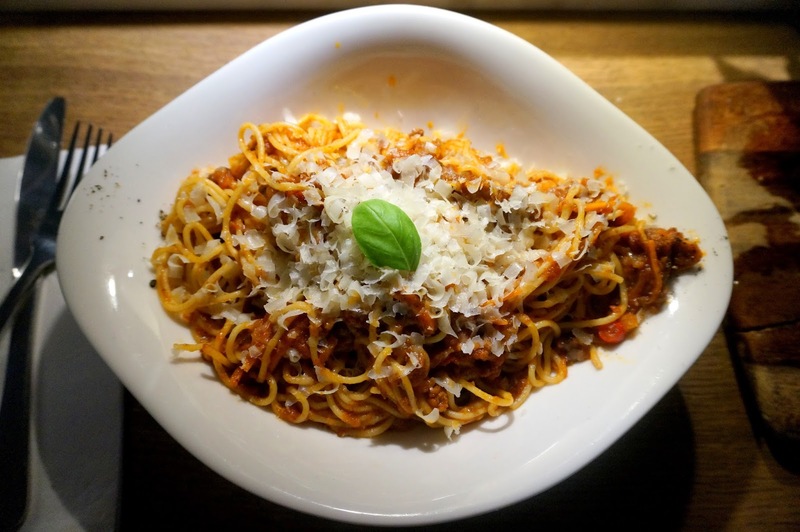 Vapiano has developed an incredibly interesting ordering concept for their good quality Italian food. Diners are given a card resembling a credit card, which is used to track your order throughout each station (pasta, pizza, drinks, dessert). 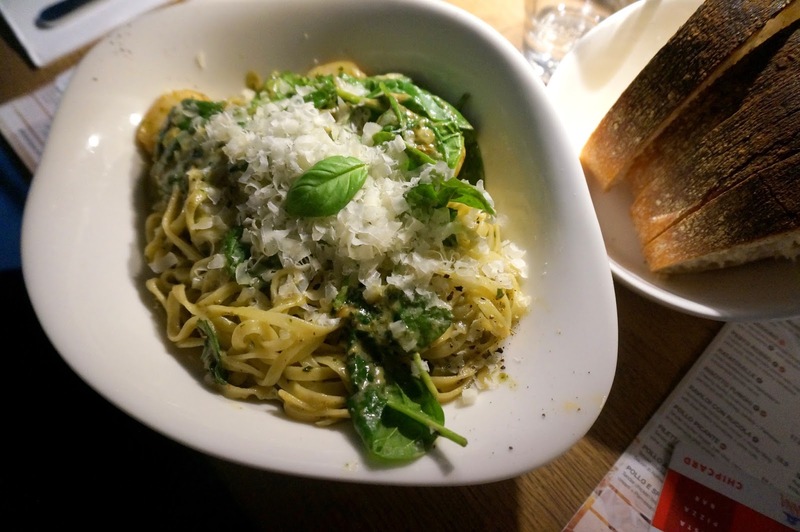 Their claim to fame is freshly made pasta and pizza bases, so you can either wait for your dish to be prepared fresh in front of you, or are given a buzzer to return when it’s ready. The card is then presented at the end of your meal, and you pay for the food you have consumed. It is a perfect way to split bills in a large group, or a nice way to enjoy a meal at your own leisure without feeling pressured by table service. There is a lot of space in this upstairs food court style restaurant, and the weekday night we attended didn’t really require a booking to be honest. 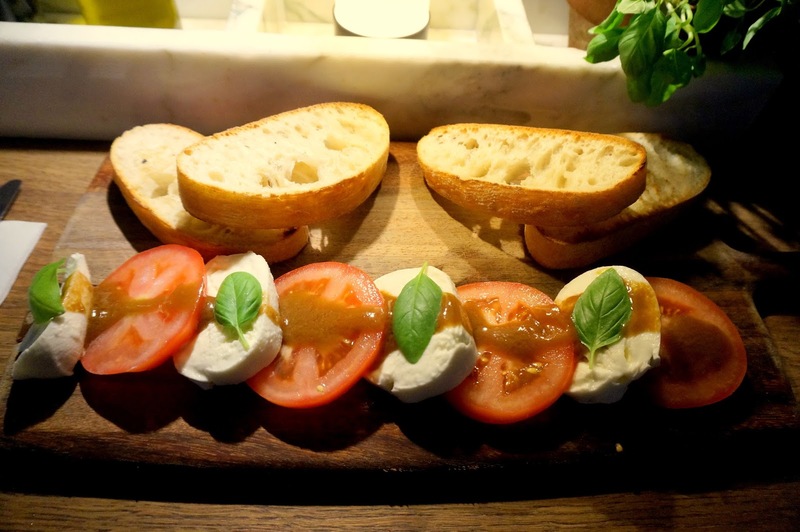 The Caprese: Fresh ciabatta, creamy buffalo mozzarella, ripe sliced tomatoes + basil ($12.9) was quite delicious and an excellent starter, the mozzarella was smooth and tasty combined with the basil and tomatoes, especially with the tangy vinaigrette sauce drizzled across each slice. Prawns, onions, cherry tomatoes, cream with basil pesto + Parmesan tossed with fresh spinach ($20.9). A nice dish, especially with the freshly grated parmesan, though there weren’t a lot of prawns present in the large serving. The Italian style beef and pork, onions, carrots, cherry tomatoes in homemade tomato sauce ($17.9) was quite a nice bolognese; definitely was not overly wet and saucy, but the meat was fresh and the ratio between ingredients to spaghetti was adequate to ensure you didn’t run out of either. This dessert, the White Chocolate Cheesecake ($5.9) is enough to ensure I return to Vapiano. 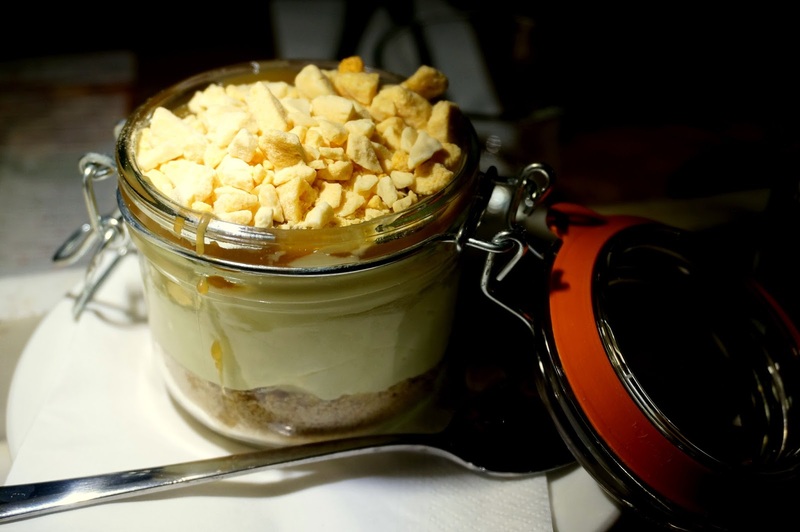 A huge jar filled with very rich, very sweet layers consisting of the cookie crumble base, the thick white chocolate cheescake centre and the honeycomb crumble topping drizzled with salted caramel. It was incredibly decadent and you may need two people to finish it. 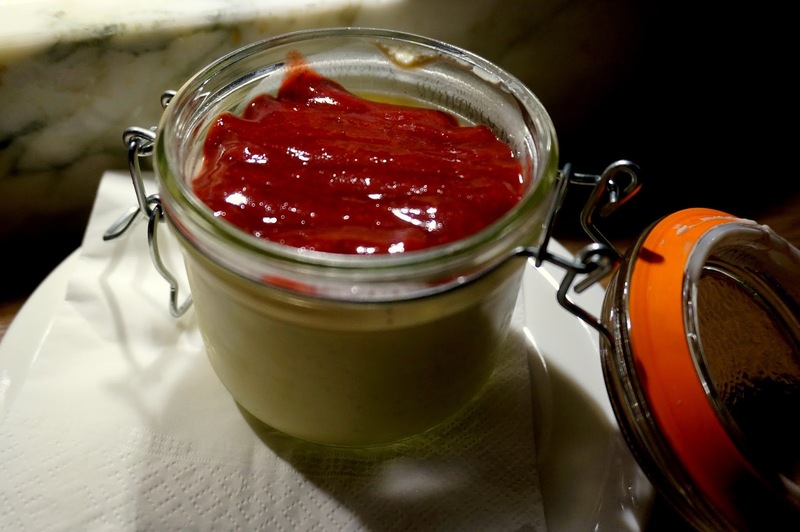 The Panna Cotta ($5.9) was definitely not as exciting as the White Chocolate Cheesecake, though it was smooth and consistent in texture, there wasn’t a lot of wow factor that came into this one. TL;DR Very cool concept with the swipe cards and open dining hall style eating area.